It is July 23rd, 2015. The National Hot Dog & Sausage Council of the USA has found it in their hearts to declare this day a day for celebration. Go forth and celebrate, my friends!! This post will be a two part homage to get us all in the mood to enjoy our hot dogs today. According to the American Meat Institute, sausages on rolls were first sold in the 1860’s. 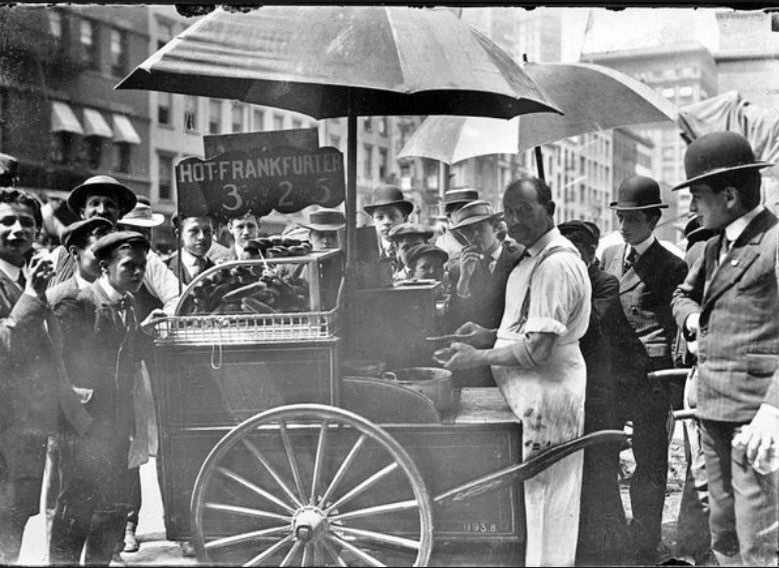 The first recorded hot dog vendor was Charles Feltman in 1871 on Coney Island here in good old New York City. In 1893, there was a massive Colombian exposition in Chicago, and the hot dog blew up from there. The same year, it was the official snack served in ball parks across the country. The name literally comes from making fun of dachsunds, or wiener dogs. 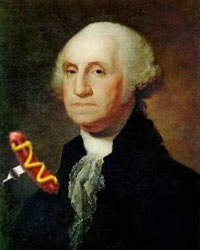 So, there is your real hot dog history… below is my paraphrased version. A kiss of meaty goodness! The hot dog is what I taste. And your skin eternally crisp. You, glorious weenie, are it. So, with that, and before I get emotional, thus ends my homage. Go out and get those weenies today, and enjoy the gift on earth that is the hot dog. Below, I leave you with my own home-grilled creations cooked on the family grill in Virginia. 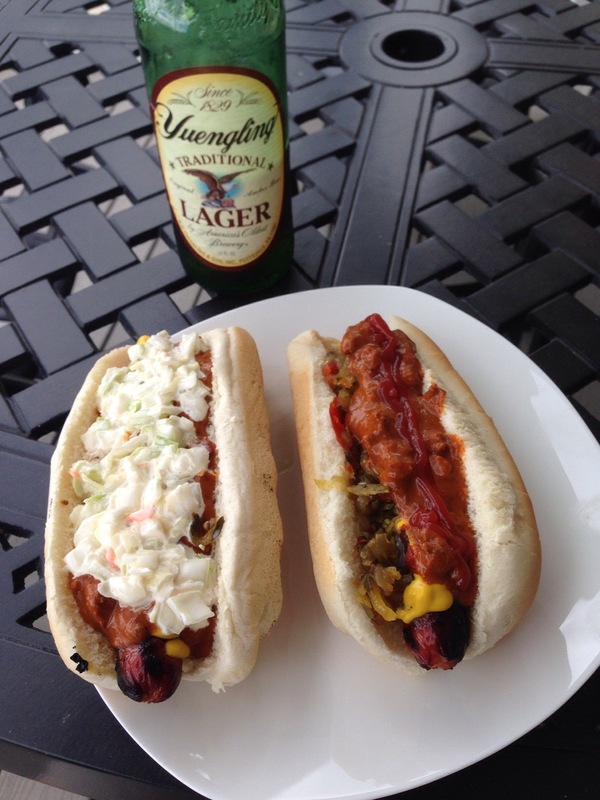 Got to love the slaw on the hot dog; a culinary delight that many have not tried !